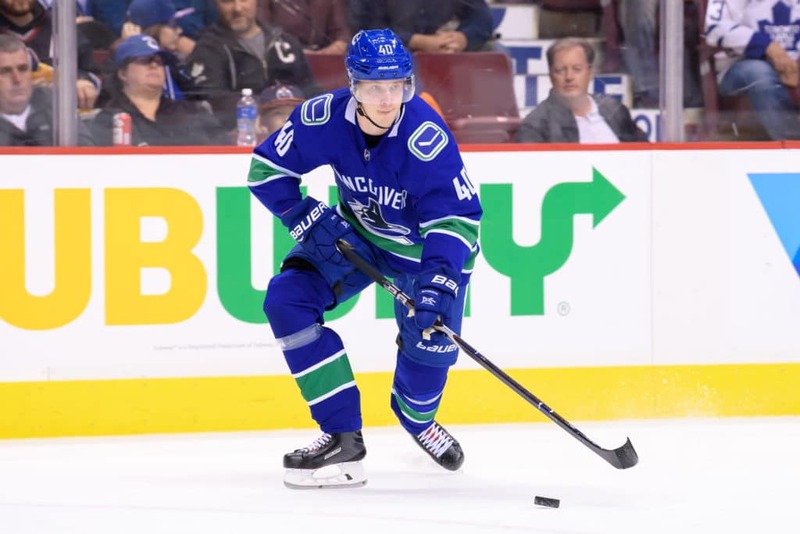 Will Elias Pettersson win the Calder trophy this year? Can he have a year like Mathew Barzal? Who will win the NHL rookie of the year? Will someone put up the 85 points Calder Trophy winner Mathew Barzal did last year? Unlikely, but a 70 point season is definitely attainable for Elias Petersson or Casey Mittelstadt. He’s done nothing to dissuade our confidence. He destroyed the Swedish League last year as a teenager, winning the MVP, playoff MVP and scoring title. He was the league’s best junior-aged player ever, and he quickly answered any questions about how his game would translate to North America by dazzling in the pre-season with highlight-reel moves. He has a real chance to succeed Henrik Sedin as a franchise playmaking center for years to come. Don’t be surprised if Pettersson ends up feeding passes to Brock Boeser on a line by season’s end. The Sabres could deal away Ryan O’Reilly because they were ready to hand the dynamic, speedy, competitive Mittelstadt the keys to a scoring-line role. Does that mean second or third line to start the year? It doesn’t really matter in this Top-Nine world. What we do know is Mittelstadt is a special playmaker who will have quality linemates – Conor Sheary and Kyle Okposo for now. He’s a mentally strong player who models his game after Sidney Crosby’s. Bet on Mittelstadt to play his best now that the lights get brighter in the NHL. Goals get rookies noticed. Just ask Matthews, Alex Ovechkin, Teemu Selanne and Pavel Bure. The two names above Svechnikov will make headlines for setting up others, while Svechnikov is probably the best bet to lead rookies in goals. He’s a powerful young specimen with a deadly shot. His line deployments might vary, but we know he’s made the Hurricanes for now, and his talent will take care of the rest. If he can just survive the nine-game hump and avoid getting returned to major junior, he’ll earn enough opportunities to light the lamp 25 or more times as a freshman. Dahlin has shown time and again that he’s a truly special blueline prospect, the type who will mature into a minute-munching Clydesdale blending magical offense with shutdown defense. He truly is worth the hype. But Dahlin won’t necessarily get noticed for his offense in Year 1. Only two 18-year-old blueliners in history have even reached the 40-point mark. That doesn’t mean Dahlin can’t win the Calder, of course. Aaron Ekblad did it at the same age. I have Dahlin behind a few players poised to win votes with flashy offensive totals, but Dahlin will begin altering the Sabres’ fate immediately. He also doesn’t mind the buzz at all. He thinks it’s the coolest thing ever when people try to compare him to Nicklas Lidstrom or Erik Karlsson claims Dahlin will be better than him. Working in Heiskanen’s favor if we’re comparing his Calder chances to Dahlin’s: (a) Heiskanen is more likely to play for a competitive, playoff-contending team; (b) Heiskanen is a safer bet to face insulated matchups in Year 1 if John Klingberg and Esa Lindell take on the toughest assignments. Facing weaker opponents might mean fewer defensive zone starts for Heiskanen and the chance to post better numbers on both sides of the puck. Then again, given his heady, mature game, it wouldn’t be a surprise to see Heiskanen emerge as Dallas’ most trusted shutdown defenseman by season’s end. He handled huge responsibility in the Finnish League. He’s going to be a true foundational piece for Dallas. What do we prognosticators know, eh? Filip Zadina gets sent to the AHL, while Kotkaniemi, considered a reach at third overall, shows enough skill in the pre-season to land himself a job at the NHL level, tabbed to center Jonathan Drouin and Joel Armia. Kotkaniemi certainly isn’t a lock to light it up in Year 1, but he has a great chance to carve out a big role early because the Habs have so little competition at center. That’s the very reason they drafted him. Maybe they were smarter than many of us gave them credit for on draft day. It’s a wasteland in Canada’s capital, no doubt. But the gutting of Ottawa’s roster creates opportunities for what is actually a pretty strong prospect crop. Brady should be a difference-maker just like his brother Matthew was two years ago, and some talent evaluators say Brady makes Matthew look like “the nice one.” Whatever Brady does this season, it’ll make headlines. No rookie lands in a more favorable situation to start the year. Corey Perry’s torn meniscus frees up the right wing spot on Anaheim’s first line alongside Rickard Rakell and Ryan Getzlaf, and Terry gets the first crack at it. He flashed some serious skill at the University of Denver and with the U.S. world junior squad and has a real shot to pile up points if he sticks on that line for an extended period. Say hello to Duncan Keith’s opening-night defense partner. ‘Joker’ couldn’t have a better mentor, and it appears he’ll be thrust into significant minutes immediately. It’s sink or swim. If the Blackhawks overachieve this year, it’ll likely be because Jokiharju elevates the defense above expectations, which would earn him some Calder attention. He was the AHL’s best player last season, especially in the playoffs, where he piled up points and won the MVP award. He had his struggles in camp, earning some pointed public words from coach Mike Babcock, and may start the season on the fourth line. But Johnsson has great speed, a nose for the net and a chance to climb the depth chart quickly at left wing. It’s not inconceivable he beats out two of Josh Leivo, Zach Hyman and Patrick Marleau at some point, which would mean Johnsson ends up with John Tavares or Auston Matthews. Even a third-line assignment would put Johnsson with Nazem Kadri.